This project involved the complete demolition, removal and replacement of undersized, weight limit posted bridges in serious condition. 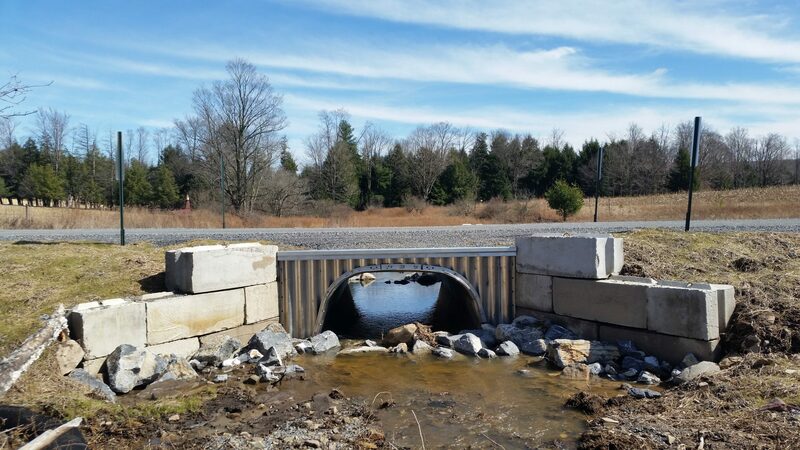 The project included the replacement of an existing 21′ long x 8′ wide x 5′ high concrete slab bridge with a new 27′ long x 10.5′ wide x 6′ high aluminum box culvert on Airport Road, associated minor stream channel improvements (riprap, rough grading, etc.) and ±290′ of dirt and gravel roadway restoration. 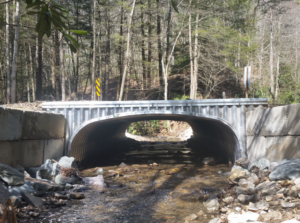 The project also included the replacement of an existing 14′ long x 13.5′ wide x 3.5′ high steel beam bridge on English Run Road with a new 40.5′ long x 15′ wide x 6′ high aluminum box culvert, associated minor stream channel improvements (riprap, rough grading, etc.) 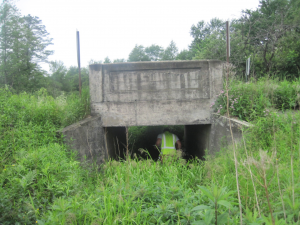 and ±230′ of dirt and gravel roadway restoration. This project entailed the replacement of the existing bridges, bank stabilization and roadway safety improvements. Construction was completed in eight weeks. 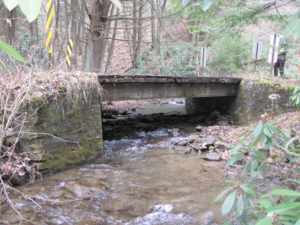 The projects were built by Wolfe Coal & Excavating, Inc. and Masters Excavating LLC, both located in Lock Haven, PA.